In terms of balcony garden report cards, I get a C- in strawberries this year. Got about 10 good berries before the plants went into full-on plant mode. Got some good cocktails out of those hard-earned berries, though! 🙂 Recipe from NYTimes Cocktail Book! 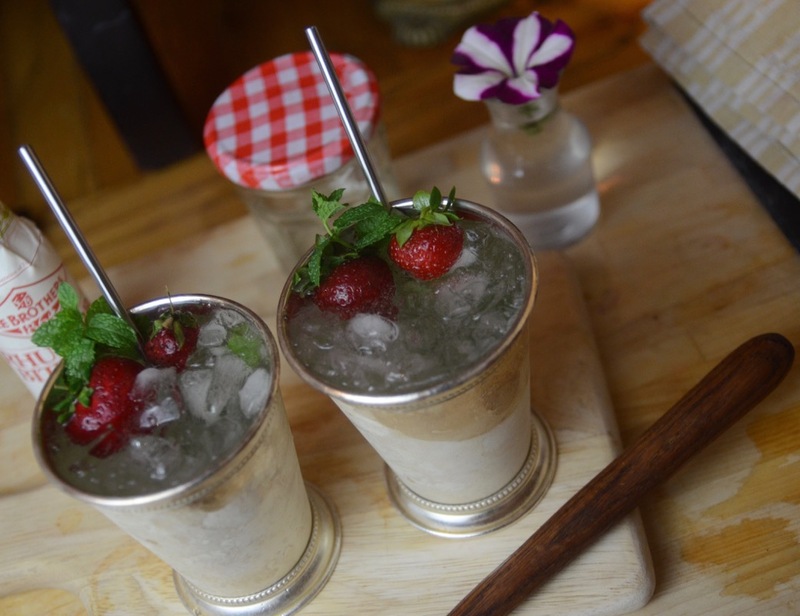 In a tall glass, lightly press mint and strawberry into simple syrup with a muddler or long-handled spoon. Fill glass with cracked ice. 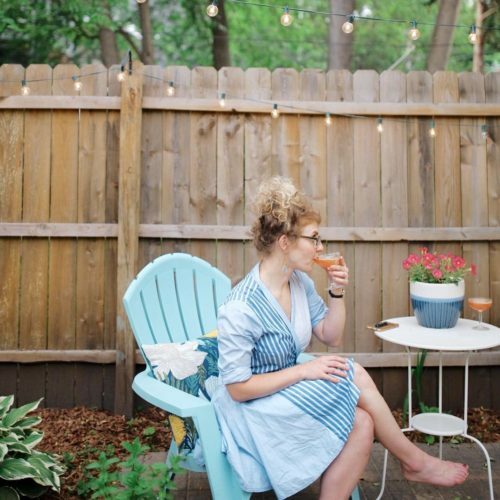 Add gin and stir energetically with a swizzle stick or long-handled spoon until frost forms on outside of glass. Top off with more cracked ice, plant a mint sprig on top, and serve with a straw.